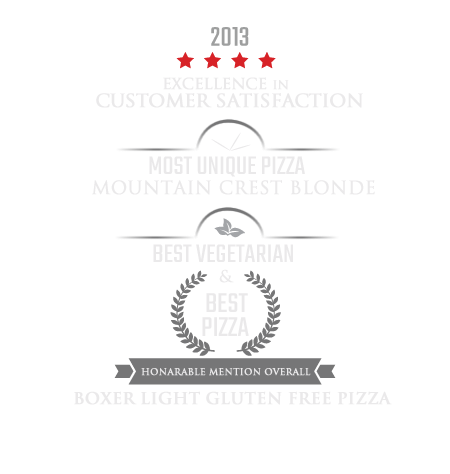 By Talk of the Town Calgary Pizza Brew - Best Pizza in Calgary, Most Unique Pizza : Mountain Crest Blonde, Best Vegetarian : Boxer Light Gluten Free Pizza, Honarable Mention Overall : Best Pizza - Boxer Light Gluten Free Pizza, 2013 Excellence in Customer Satisfaction Food Category. PIZZA Brew is a family friendly pizza and beer restaurant, serving delicious, unique handmade pizzas, snacks, sandwiches and more. And, what pairs better with pizza and subs than beer?! To compliment any of our menu options choose a beverage from our selection of Calgary’s best brewed beer crafted in our Minhas Micro Brewery, located right next door. We hope you enjoy our wide variety of beers, spirits and non-alcoholic drinks with our appetizing pizza, snacks and sandwiches. But please be advised, no cash is accepted at our establishment. We accept Visa, Mastercard and American Express only. Why no cash? 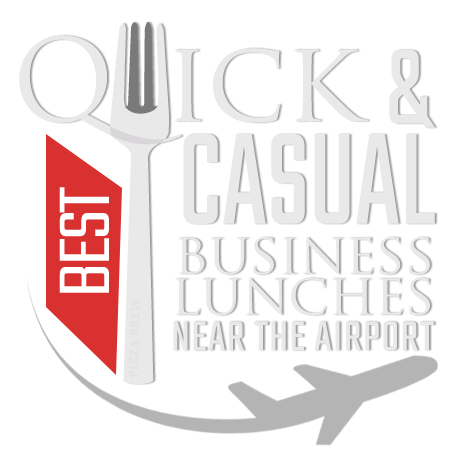 A cash free environment is a safer environment for our most valued assets, our guests and staff. 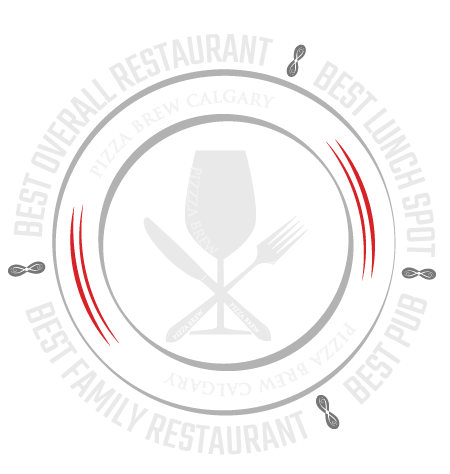 After dining on the best pizza and beer in Calgary, you can enjoy The Best Brewery tour in Alberta at the Minhas Micro Brewery next door. Pizza Brew , the gift shop and tour centre are occasionally closed for private events. Please check our Calendar Here to see dates marked in RED for updates on closures. 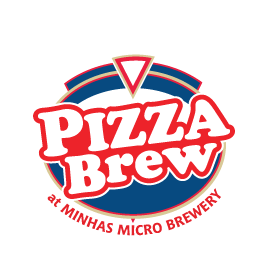 Nothing beats the real experience, however take a virtual tour into the Pizza Brew restaurant to see what you can expect when you visit. Click on any of the images below to start the tour. The Pizza Brew restaurant opens up to our fabulous tour center bar, you can enjoy a few drinks before taking our Brewery Tour. CLICK TO START YOUR VIRTUAL TOUR HERE "Start Virtual Tour HERE"
Take a look into our Keg themed restaurant and our wall of 101 (and more) Damn Good Beers mady by us. If you want to spread the word about us and would like to sport some of our Merchandise, you can visit our Store at the Tour Center.